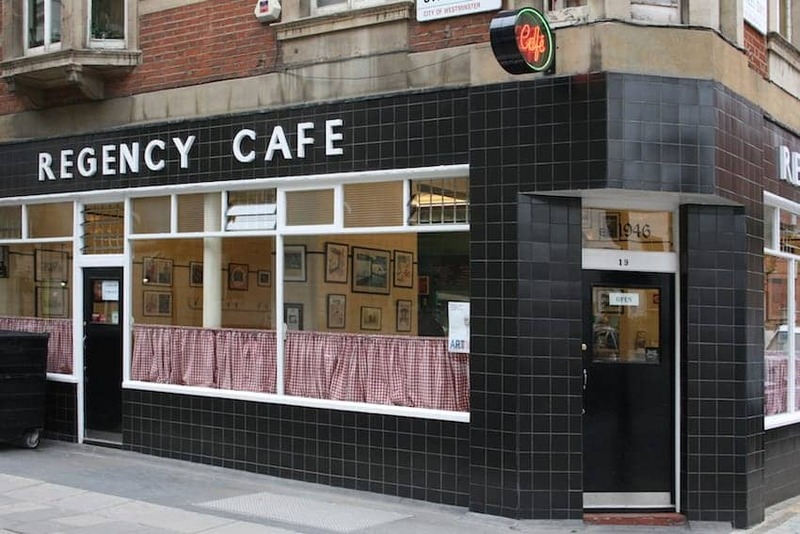 The Regency Café is a basic style cafe that first opened in 1946 and has been in current ownership since 1986. The interior tiling is original, while the decor includes utilitarian formica topped tables and photographs of Tottenham Hotspur football players. The cafe has been featured in several TV shows and movies including Layer Cake as well as print advertisements. The Regency Café serves all manner of breakfasts and pies, and the tea is described as 'proper builders' tea'. Though not at all sophisticated, the Regency Café is frequently cited amongst London's favourites.